Operating a hacksaw manually is a very tiring and time consuming task. It requires a lot of manual effort and delivers uneven cutting. Operating a electrical hacksaw does deliver good results but consumes a lot of energy. 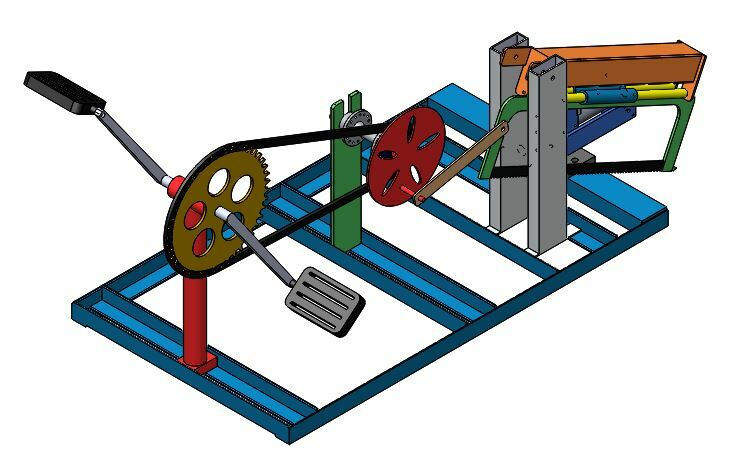 So here we propose a semi automated hacksaw using pedal power. Here we design and fabricate a hacksaw that is run by pedal power and achieves even cutting with very less efforts. Here we use a chain sprocket arrangement to transfer power from pedals to hacksaw. A strong and firm base frame allows for efficient power transfer between the system. We use bearings and mounts to mount and setup the entire system and ensure a smooth circular motion of pedals. Now we attach a hub to the other sprocket. This hub is connected with a connecting rod which moves with the hub in order to produce a lateral motion. 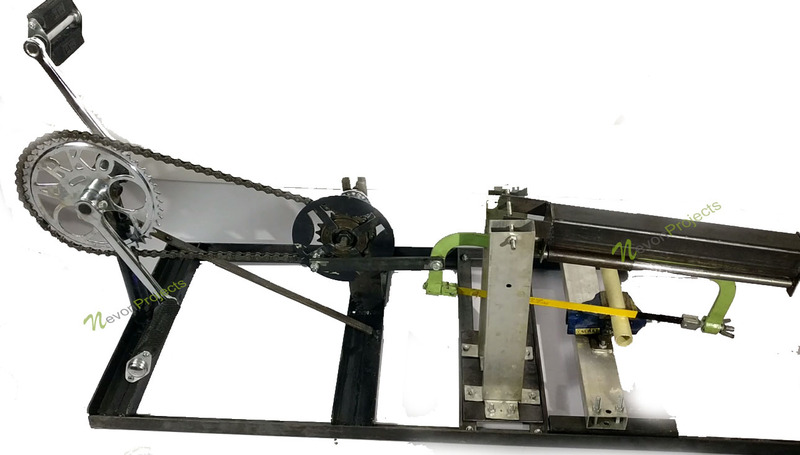 We now develop a supporting frame and connect a saw to the other end in order to achieve desired cutting movement of saw. We also attach some weight to the upper saw frame in order to have some load on the hacksaw for a cut through movement system.